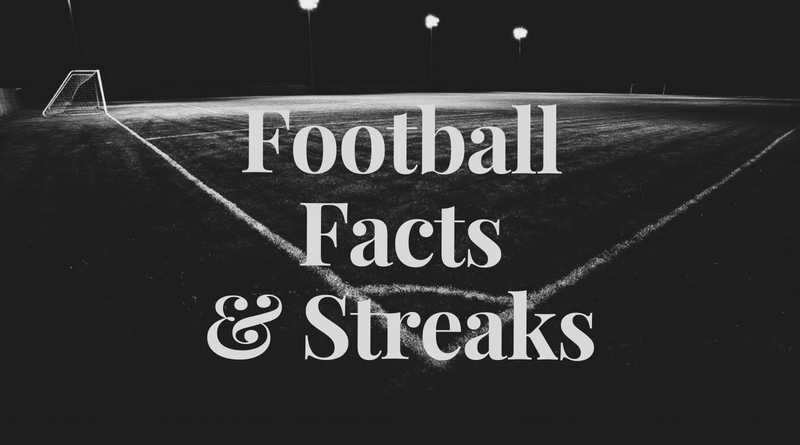 PSV Eindhoven scored in last 28 home matches. Tottenham allowed opponents to score over 1.5 goals in last 3 matches. Monaco has under 2.5 goals in their last 3 away matches. Atletico Madrid scored in last 10 home matches. Barcelona scored in last 21 matches. Paris Saint-Germain allowed opponents to score over 1.5 goals in last 6 matches. Brugge has over 2.5 goals in their last 3 matches. Borussia Dortmund has over 2.5 goals in their last 3 matches. Atletico Madrid scored in last 6 matches. Monaco allowed opponents to score over 1.5 goals in last 3 away matches. Schalke 04 has over 2.5 goals in their last 3 away matches. Atletico Madrid have scored at least one goal for 6 consecutive matches. Tottenham won their last 5 matches. Inter scored in last 5 matches. Tottenham scored in last 5 matches. Paris Saint-Germain allowed opponents to score over 1.5 goals in last 3 home matches. Borussia Dortmund has over 2.5 goals in their last 8 home matches. Tottenham allowed opponents to score over 1.5 goals in last 4 home matches. PSV Eindhoven has over 2.5 goals in their last 3 matches. Porto scored in last 14 home matches. Paris Saint-Germain won their last 3 home matches. PSV Eindhoven scored in last 13 matches. Barcelona scored in last 10 away matches. Napoli allowed opponents to score over 1.5 goals in last 9 home matches. Borussia Dortmund won their last 3 matches. Napoli allowed opponents to score over 1.5 goals in last 5 matches. Schalke 04 has over 2.5 goals in their last 3 matches. Porto won their last 9 matches. Paris Saint-Germain scored in last 45 home matches. Borussia Dortmund won their last 9 home matches. Porto won their last 8 home matches. 67% of Rosario’s matches had under 2.5 goals in Primera Division (Argentina). 67% of Rosario’s points have been earned at home in Primera Division (Argentina). Aston Villa have scored 2 goals or more in each of their last 3 matches in Championship. Ipswich Town have failed to win in their last 6 matches in Championship. Wigan Athletic have scored 63% of their goals in the first half in Championship. Blackburn have scored in each of their last 7 matches in Championship. 29% of Derby County’s conceded goals occurred in the first 15 minutes in Championship. 86% of Wigan Athletic’s points have been earned at home in Championship. Blackburn have scored in 89% of their away matches in Championship. Derby County have been undefeated in their last 4 away matches in Championship. 36% of Blackburn’s conceded goals occurred after the 75th minute in Championship. Derby County conceded at least 1 goal in each of their last 10 matches in Championship. Ipswich Town have scored 27% of their goals in the first 15 minutes in Championship. 88% of Millwall’s points have been earned at home in Championship. Ipswich Town conceded at least 1 goal in 89% of their home matches in Championship. Blackburn have scored in each of their last 5 away matches in Championship. Derby County conceded at least 1 goal in 100% of their away matches in Championship. Birmingham City have scored in each of their last 10 matches in Championship. Ipswich Town have failed to win in their last 9 home matches in Championship. Derby County have scored in 78% of their away matches in Championship. Birmingham City have scored in each of their last 5 away matches in Championship. Ipswich Town conceded at least 1 goal in each of their last 9 matches in Championship. Birmingham City have conceded 2 goals or more in each of their last 3 matches in Championship. Ipswich Town have scored 67% of their goals in the first half in Championship.